As sharks, Dr. Chompers' patients are great at biting, but aren't so great at counting. 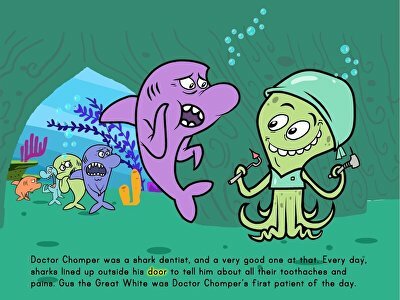 Help Dr. Chompers take care of what teeth his patients have left in this story that practices subtraction. 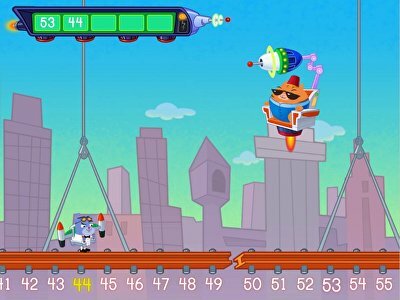 Kids glide into subtraction in this silly maths game. Young learners practise subtraction within 20, building mental maths fluency with every correct answer. 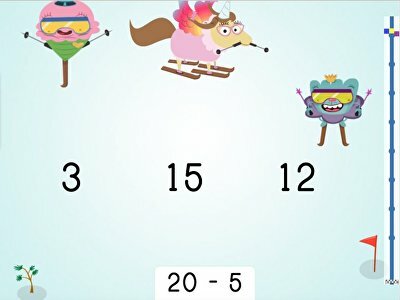 Kids will love cruising down the mountain in this fast-paced game, and educators will love how tackling simple subtraction problems will help children build important maths skills. Hard hats on, that building is coming down! Kids practise mentally subtracting 10 and 100 in this fun, construction-themed game. Each time a child gets an answer correct, a brick is crumbled. Answer enough correctly, and the whole building will come down. 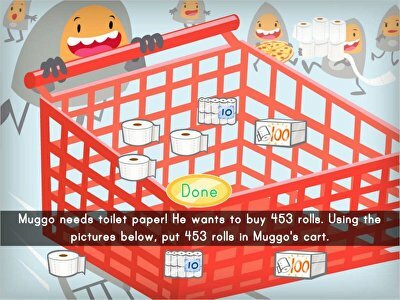 This interactive game is perfect for any reluctant maths learner. The gang is going apple picking, and they need help getting just the right amount of bushels. 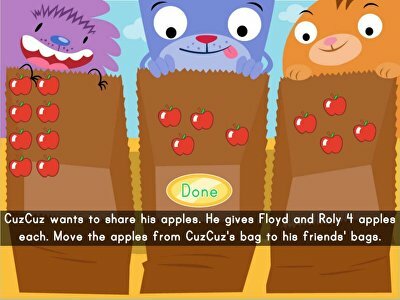 Kids help the group collect just the right number by subtracting apples in two-step equations. Using manipulatives helps kids strengthen essential maths skills to help prepare them for mental maths equations.